Abbas’s Fatah faction warns Israel against any further "settlement construction" on "occupied Palestinian territory." Palestinian Authority (PA) Chairman Mahmoud Abbas’s Fatah faction considers “settlements” to be a crime against humanity, according to Abbas’s spokesman. The spokesman, Nabil Abu Rudeineh, made the comments following a meeting of the Fatah Central Committee in Ramallah on Sunday evening. Abu Rudeineh indicated that the Central Committee repeated its commitment to the success of American and international efforts to promote a peace agreement, and called on the Israeli government not to waste time by placing obstacles in the way of the talks. The Central Committee also emphasized its absolute opposition to “the settlements in the entire State of Palestine, particularly in occupied Al-Quds (the Arab name for Jerusalem -ed. )," adding that "the settlements are a crime against humanity." 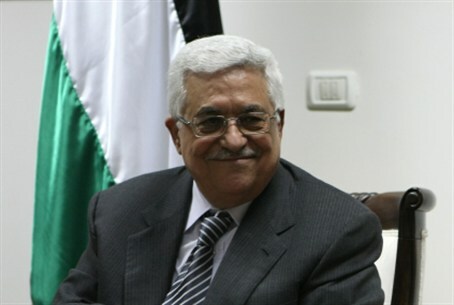 Abbas last week delivered an ultimatum to Israel, saying that unless it cancels tenders for 20,000 new homes in Judea and Samaria he would end the ongoing peace talks. He later announced that PA peace negotiators intend to pull out of peace talks because of "increasing settlement building (by Israel) and the absence of any hope of achieving results." On Sunday, however, Abbas appeared to change his tune, telling AFP that talks with Israel will continue for the full nine months as agreed with Washington "regardless of what happens on the ground." French President Francois Hollande, who is on his first visit to the region since becoming president, will travel to Ramallah on Monday to meet Abbas. As well, U.S. Secretary of State John Kerry whose shuttle diplomacy resulted in the resumption of talks, is expected to come to Israel for another visit on Friday to discuss the peace talks.